I cleaned out my pool bag today, after an entire summer of almost daily swimming trips. It weighed about 25 pounds and was getting harder and harder to carry. In fact, it was so heavy, it made me not want to go to the pool, which is why I decided it was time to look inside. I found a numerous variety of snacks, 4 bottles of water, 1 can of La Croix, and 25 pool toys. The bottles of water and the snacks were from the beginning of summer. And we only played with 1 toy all year, a rubber football. You know why we didn’t eat the snacks or play with the other toys? We didn’t know they were there, underneath the clutter and mess. So I cleaned everything out. I simplified the toys. I switched out the snacks. I reduced the water bottles. And today, when we went to the pool, we knew there were fun toys to play with and new snacks to eat. Sometimes this happens with our lives. We keep piling more and more into our schedules. We keep adding more and more into our daily routine. And before long, our days are heavy and our schedules are hard to carry. We worry and dread about how were going to get everything done. Our hearts can become just like my pool bag. They can become crowded and congested with clutter. When we begin to unpack what’s weighing us down, we wonder where the mess came from. And when we begin to remember what’s underneath, we remember what inspires us and gives us joy. When we simplify our schedules we allow ourselves the opportunity to actually enjoy what we’re doing. We also set ourselves up to succeed and thrive in what we are doing, instead of just trying to survive. Soon we’ll trade out the pool bags for back packs and gym bags. Our schedules will be filled with homework and practice. Let’s aim to keep our bags filled with the essentials and leave the clutter out. 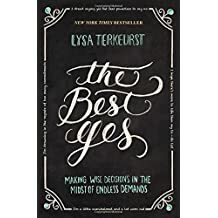 Lysa sums it up perfectly, “Every day we make choices. Then our choices make us”. Like I tell my kids, let’s make good choices! Today is my mom’s 70th birthday. I am thankful I was able to celebrate with her during my visit to KC last month. I asked her what she wanted for her birthday and she didn’t have anything specific in mind. So we decided to take her to a baseball game. In 100 degree heat. Cause that’s what you do to show someone you love them. We certainly made memories and managed to have a good time. As I get older, I understand and appreciate my mom more and more. Despite the fact that she was a single parent, she managed to be a stay-at-home mom also. She has modeled what christianity and a prayer-warrior looks like. She encouraged me early on to make bible reading a daily habit. She has a heart to help the elderly and the sick. I can remember many visits to nursing homes that ended with us singing for the residents. She also has a strong sense of justice and a unique way of helping where she can. She started doing foster care when I was in high school. And more recently, she hosted a foreign exchange student from China for 2 years. We don’t always see eye to eye on everything, but I am so thankful for the relationship I have with my mom. I admire and appreciate the sacrifices she has made. And I love the special relationship she now has with my kids. They absolutely love Grammy. Happy Birthday Mom! Happy August! I just want to let you know I’m still alive. Having little people around me constantly translates into zero writing opportunities. But I’m taking a minute to steal away and reflect on the summer thus far. Although school is out, the learning continues, maybe more for me than the kids. We are discovering valuable life lessons every week. At the top of the list is managing expectations. This is a weekly, sometimes daily lesson that, for some reason, is quickly forgotten. Why can’t we just go into everything with absolutely no expectations? Wouldn’t that make things easier? Unfortunately, that doesn’t happen and so we have to learn to adapt and go with the flow. We are also learning how our family works best as a team, how we all have a role to play and job to do. My kids have certain tasks around the house they are expected to do. When they choose to complain about doing them, I try to encourage them and point out how valuable their job is. It makes us stronger as a family and lightens the burden of housework. We are (trying) to navigate how to spend massive amounts of family-time together and still like each other. Tucked inside of this is another lesson; how powerful our words are. Sometimes we say things we regret after So. Much. Time. Together. And although we can apologize, the sting of our words can linger. Additionally, we are practicing being thankful and content. Often times, the more my kids get to do, the more they want. So that might mean we pull away and spend the day at home, remembering how it is a privilege when we get to do fun activities, not a right. Let’s nip that entitlement in the bud right now! Since my last post and our ‘summer reset’, we have been doing a better job of enjoying our summer break. While I was writing this, I asked both of my kids what they have learned this summer. Levi said, “Not to use rude words” and Ellie said, “Jesus”. That’s my girl, when in doubt, the answer is always Jesus. I remember sitting on our green velvet couch (a garage sale find), in our rented duplex, the day Matt came home from a college job fair. He asked how I felt about moving to Omaha after graduation. I thought it sounded like a fun adventure and was totally onboard. 10 years ago, the weekend after graduation, we rented a small U-Haul, and headed 5 hours north. We rented a small townhouse in a part of town that in hindsight, probably wasn’t in the best area. But it worked for us. It was such an exciting time and we quickly found a church, friends, community. I found an amazing job. And we were able to buy a brand new couch, from a real furniture store. We bought a sectional that was so big, it hardly fit in our townhouse. But we said goodbye to the green, velvet, garage sale special. We had it made. When I recall all the connections and relationships we made, I see God in every detail. Although we were only there for 2 years, we put down deep roots. I’m not sure what we were expecting 10 years ago when we said yes to our first move. We were young and naïve. But I can honestly say I wouldn’t change a thing. The many moves, the constant change, the stepping out in faith, has helped shape me into the person I am today. There are certain things you learn only when your comfort zone is ripped away. It is then you have to decide where you are going to stake your identity and purpose. It can be difficult to go through life, not knowing how long you will live in a certain area. It can be tempting to put up walls and keep people at arms length. It can feel isolating and lonely. But you always have a choice. And friendship and community is a choice, even though it might not be forever. A good friend encouraged me to put down roots with people, not places. When I look at it through that lens, I have put down many roots, rich roots. Roots I never would have been able to put down had I lived in one place my whole life. While it hurts when I move or others move away, I know that I’m fortunate to have met so many great friends. It has been 8 years since I’ve had the chance to celebrate Father’s Day with my dad. As I walk through stores this time of June, it’s hard to miss the displays of gifts for Father’s Day. I find myself wondering what I would get my dad this year, if he were still here to celebrate. When I see a unique gift or gadget, I’m curious if my dad would have liked it. We always made a big deal about Father’s Day. My dad loved a good party and enjoyed seeing what we would plan for him. One year, my brother and I took him out on a pontoon boat and ended it with steaks on the grill. Another year, my sister and I planned a seafood boil for him. We had crawfish, shrimp, sausage, potatoes and corn. He joked how he would eat seafood for every meal, given the chance. Still another time we planned a fun brunch at a restaurant downtown. The owner was a chef we enjoyed watching on TV. Whatever we chose to do, it always revolved around food. These days, my kids and I spend Father’s Day celebrating and honoring their dad. I know how hard and how important a dad’s role is. That’s why I am so thankful my kids have a dad who loves God, works hard to provide, shows up, loves to spend time as a family, spends hours playing catch with Levi and treats Ellie like a princess. This Father’s Day, no matter what season in life you are, whether your earthly dad is still here or not, and regardless if he is or was a good dad, we all have a Father to celebrate. We have a Dad who we matter to, One who sees us, One who cherishes us, and One who will never let us down. And regardless if this is a happy holiday or a hard one, we can be confident that we are wrapped in the unconditional love of the Good, Good Father. Now that summer is unofficially here, bring on the warm days spent outside! Summer is absolutely my favorite. I can easily fall into the slower rhythm of life, days spent outside, lounging by the pool. I have some favorite items that are perfect for summer time. First is my new water bottle, that I might be a bit obsessed with, my S’well bottle. I love how cold it keeps my water and it easily fits into my purse or pool bag. It never leaks and never sweats. I slip a couple of lime slices into my water for nice flavor and encouragement to stay hydrated. Havaianas flip flops are my favorite, I wear them every day in the summer. They are so comfortable and lightweight. If you come to visit me, I may or may not take you to the Havaianas shop in Huntington Beach where you can custom make a pair. I recently saw that Havaianas now has sunglasses, so naturally I needed some. The sides are made of rubber and are very flexible, not too tight. They have several cute styles and colors. Sun Bum is a great product line. All of their products smell like you are vacationing on a tropical island. I have used their sunscreen, hair products and chapstick and I love them all. I’ve been using Not Your Mother’s styling spray, on those days when it’s too dang hot to blow dry your hair. It helps reign in the crazy waves I have. They have several products for whatever hair type you have. Finally, one of my favorite nail colors right now is Essie’s Mint Candy Apple. It is a fun switch from the pinks and reds I normally wear. I hope your summer is off to a great start. Let me know what some of your favorite summer items are! Lately, we find ourselves in a season where Matt’s traveling is the rule instead of the exception. It often feels like he is gone more than he is home. The days can feel long and I am regularly looking for where I left my patience. While he is gone, there are a few things I try to do consistently, that help the days flow better. The first is making sure I have some quiet ‘me-time’ each morning. While it can be hard to force myself out of bed while it is still dark, I never regret the silent moments I have to myself. I look forward to a fresh cup of coffee, the warm glow of a candle and a well-used journal, waiting to record my thoughts. It helps set the tone for the day and I’m a much nicer version of myself when I have time to wake up before being bombarded with other’s needs. Exercise is high on my priority list, whatever that looks like with the time I have. Sometimes it is running, or walking, or yoga, or chasing after kids. I try to get a workout done first thing in the morning, before too many excuses creep in. There is a direct correlation between my mental state and my exercise level. I love having a good book to dive into after the kids are in bed, it is a good way to spend the evenings. A fun TV show also helps. Right now I am reading A Piece of the World by Christina Baker Kline. It is a great summer novel. And I am loving Poldark, a Masterpiece mini-series set in the 18th century. One of the most important things I do is regularly managing my expectations. Many false thoughts and feelings can creep in if I don’t keep those in check, including bitterness, pity, entitlement, resentment. I have to regularly remind myself truth and silence the lies that can start to sneak in. While I hope this travel schedule doesn’t last forever, I am so thankful for Matt and his hard work. As they say, “The days are long but the years are short”. I know this is just a season in our life and the best thing for me to do is embrace and enjoy it. Sometimes we tend to focus on the things we don’t do well, the negatives. Today, I want to share 5 things I feel I do well. Some of them really well. I hope it doesn’t sound like I am bragging too much. 1. I make a good boxed mac n cheese. After years of practice, I have perfected it to a super creamy and delicious balance. Some might call it a talent. 2. I have a special skill in wasting time on social media. I can easily turn 5 minutes into 30 minutes on Instagram, no problem. 3. I have powers to make socks disappear, especially 2 minutes before it is time to leave for school. I have, on occasion, been known to buy more socks, in an effort to avoid doing laundry. 4. I can dive into a parallel universe when reading a good book. I can tune out everything around me, including my kids and their requests, and I can read for hours. Minor things, like meal times and bed times, lose their importance. 5. How quickly I can accumulate junk and trash in my car is high on my expertise list. I can have a completely clean car in the morning, and by evening it will look like a tornado hit the inside of it. I’m sorry if these special gifts I have make you jealous, that’s not my intent. I felt today was a good day to be positive, to stop looking at what we do wrong, and to draw attention to all the things we do right. I’m curious, what do you do really well? As fellow moms, we have a great opportunity to encourage and come along side one other. We can learn from those who are farther down the road and we can support those who are just getting started. We forget all too quickly how it feels in each stage with our kids. But no matter which stage we find ourselves in, we can play an important role. From new moms to Grandmas, we can learn from and teach one another. Find someone who is ahead of you in the journey of motherhood. Be willing to ask for advice and help. Don’t try and be an island, we’re better together. Be willing to step into someone’s day-to-day and help them. Offer to hold the baby so mom can shower, or better yet, nap! Offer to run after the toddler who can’t sit still so mom can have some peace. Offer to carpool with the mom who has 3 kids in different activities. Offer to take the teenager out for coffee, re-enforcing the truth her mom is teaching her. Use caution with your words. While we are usually well meaning when we offer “wisdom”, it does not always come across that way. Remember our memory as moms is selective and sometimes biased. If you are a mom of older kids or a grandma, and you think your kids ‘never acted that way’,you might be remembering wrong. Even if you are right, most likely that isn’t the encouragement that mom needs to hear. Our words can either encourage or discourage, they are powerful. There are days when I feel like a failure as a mom. I’m convinced I’m the only one having certain issues or problems. Almost always, however, when I open up and share what I’m going through, I find others who are experiencing the same thing, or who have gone through it already and can offer advice. This Mother’s Day, let’s work on looking for areas where we can build others up. Motherhood is a marathon that sometimes feels like a boxing match. Let’s be cheering on the sidelines and helping in the corner of the ring.